For better or worse, in every group, there’s at least one member that stands out from the rest. If you can be the good one, do that. Ever notice how birds always face the weather head on. 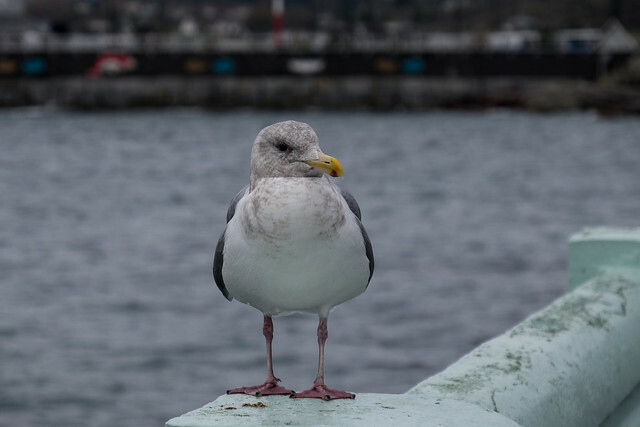 One reason is that the air flows over their feathers and keeps the feathers flat, trapping warmer air under the feathers to keep the birds warm. 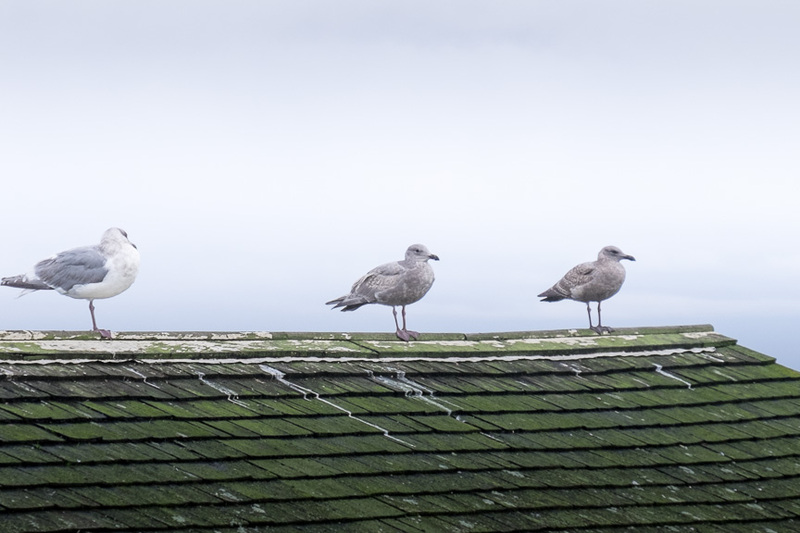 Standing the other way, with their backs to the wind, just results in ruffled feathers and colder birds. There’s a lesson about life to be learned there…. 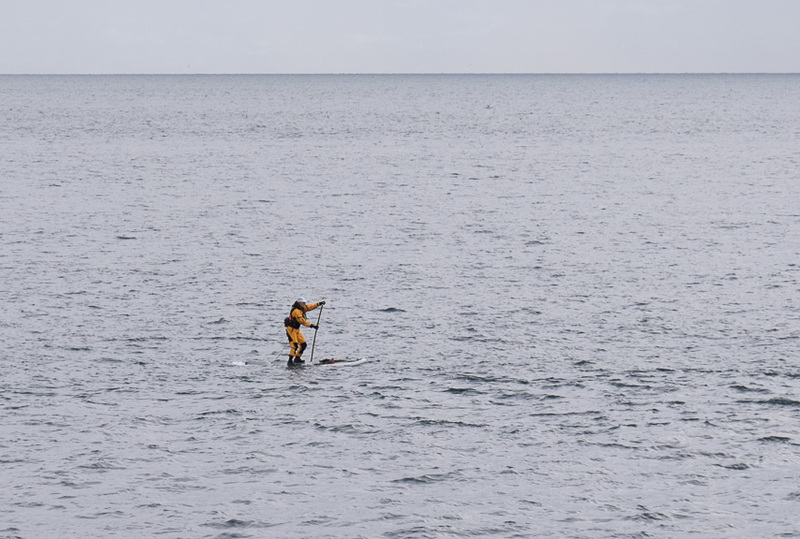 I saw this person out on a paddleboard a couple of hundred meters off Clover Point in Victoria. 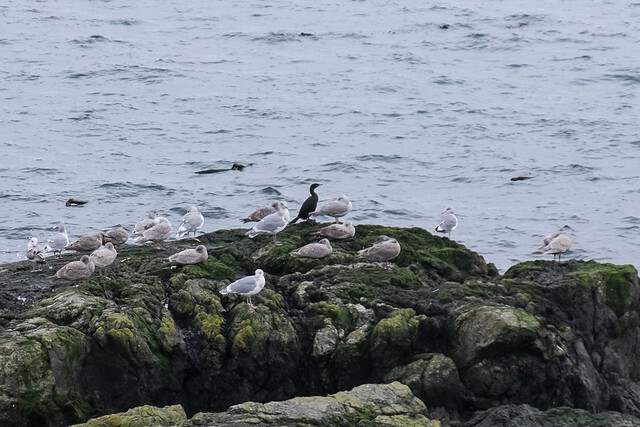 He/she seemed to struggle a bit coming out of Ross Bay, but once out into the strait, it looked like the paddling got easier. Could have been the tidal currents around the point, I guess. The air temperature was in the single digits and I expect the water was too. The paddler was all suited up in a floater suit and tethered to the board. Safe enough, I guess, but it had to be uncomfortable. Seems like a dangerous, lonely sport at this time of year. But, to each his own, as they say. 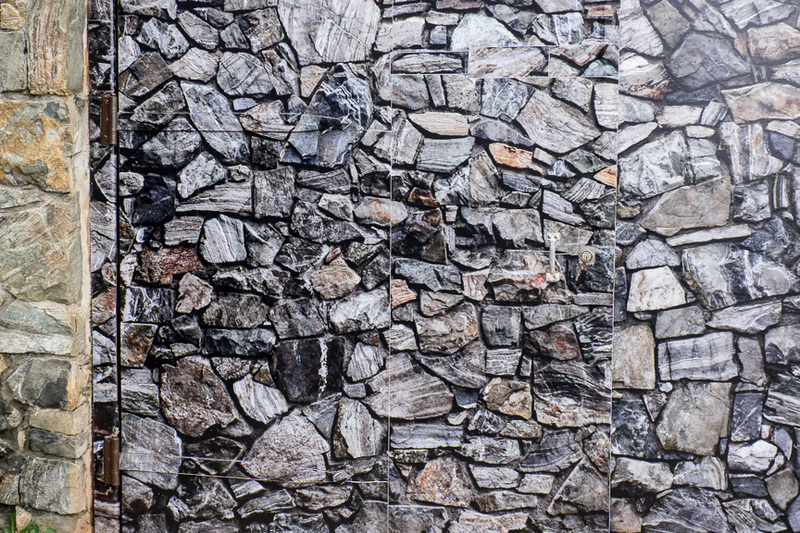 At Clover Point in Victoria, there’s a pumping station with some doors that appear to match the rock wall that surrounds them – sort of. 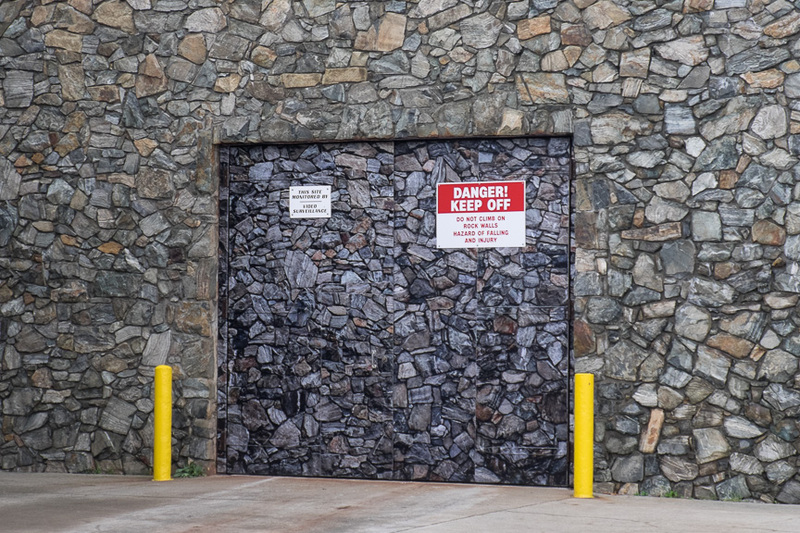 The doors are quite a bit darker than the walls, and they are plastered with signs pleading for people not to climb on the walls. Still, it’s a good effort to camouflage the doors and make them fit in with the wall. Here’s a closer look at the doors. Can you see the hinges, the lock and the handle? No matter how low the clouds get, there’s always a bright spot somewhere. 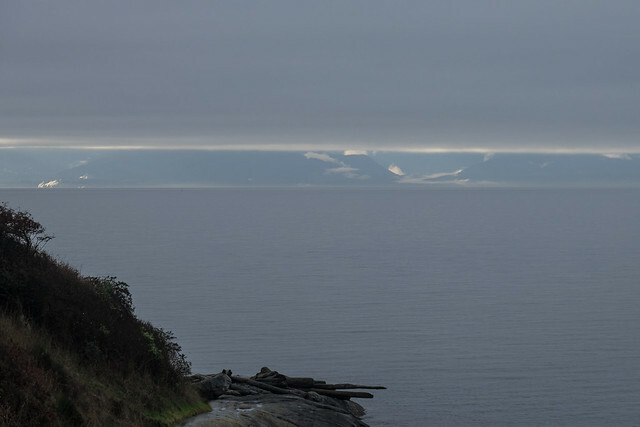 Juan de Fuca Strait had kind of a dark mood this morning. The cloud deck was low and threatening, but still, there was a bit of light catching the edges here and there. Calm between the storms. We had a ton of rain yesterday and more is expected tonight and tomorrow. But, there’s always the bright spot, right? This little gull was so cooperative the other day. It sat on the rail, as I walked by and got my camera out to take a shot of the Olympics across the strait. When I turned back, it was still there. I said out loud “How about a picture”, and it didn’t move. I swung the camera around zoomed in a bit and snapped a couple of shots. It was good enough to just sit there and put up with the paparazzi. Now, if I could just remember to focus on the eyes and then reframe…. 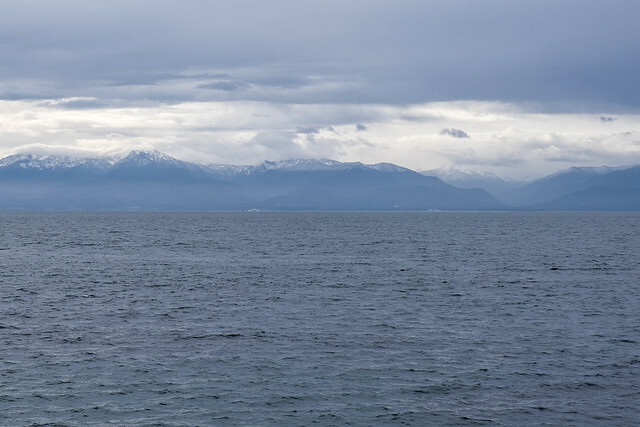 Looking across the Juan de Fuca Strait today, you could just make out a dusting of snow on the very top of the Olympic Mountains. It should be quite dramatic, when there is more snow and the sun is out so you can see them more clearly. The forecast is for clouds, rain and warmer temps for now though. Perhaps by late December or January.